Jane: It went well. people showed up, from just a little get together to a full "bikers fair" . I got gifts, I felt so more special. My pictures on friends DP, text messages, calls.... I think I trended yesterday on social media. Biker's Movement blogged, Linda Ikeji blogged, iamoma tweeted and others wished me a happy birthday.....sigh, KelzMama got a thank you gift from female bikers for hosting in PH , it was really fun. I wish birthday love was everyday. Oooh sorry Thanks to the female riders, Angels MC, bloggers, friends and family, well wishers and most of all YOU (Biker's Movement). 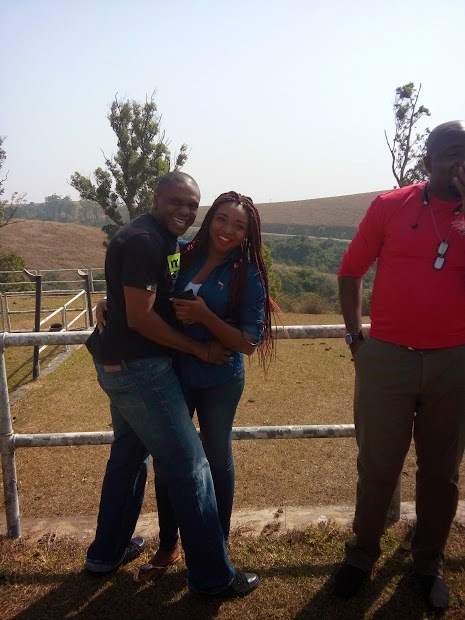 Special thanks to Emmanuel Oyeleke for the beautiful controversial picture. 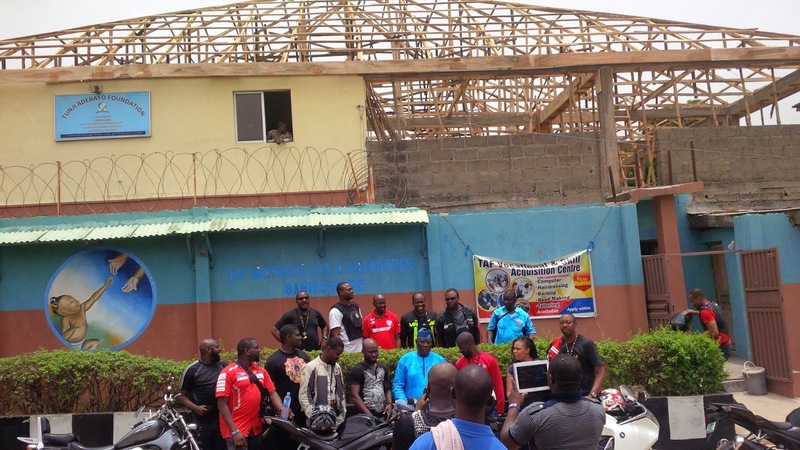 The Nigerian "SUPER BIKE ROAD RACE"
The Motorcycle Sports Club of Nigeria (MSCN) is a club made up of motorcycle sports enthusiasts from all over Nigeria committed to the vision of developing a Motorcycle Sports Culture in the country. 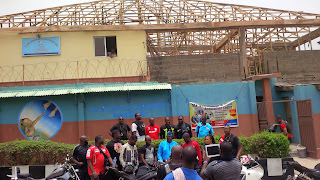 We believe that Motorcycle Sports can be a medium to positively engage the youths, generate empowerment and employment opportunities, boost international tourism with its attendant gains in developing infrastructure and improving the socio-economic life of the host community, Edo state and our country Nigeria. We started our vision of Motorcycle Sports in Nigeria in 2012 with the promotion of Motocross Races at our motocross race circuit located in Evboubanosa Village, KM 32, Benin Asaba Expressway, Edo State, Nigeria and have since enjoyed the tremendous support of the people and Government of Edo State. That support has translated to the successful hosting of the 1st Ever Edo Superbike Road Race in Nigeria on the 29th of November, 2014 in Urhonigbe, Orhiomwon Local Government Area of Edo State. 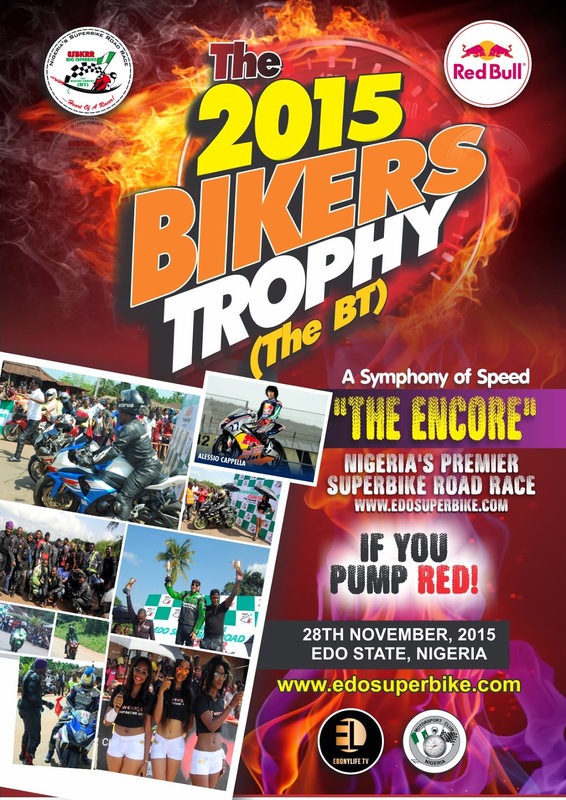 The Edo Superbike Road Race is our major annual event planned to and is held on the last weekend of November. 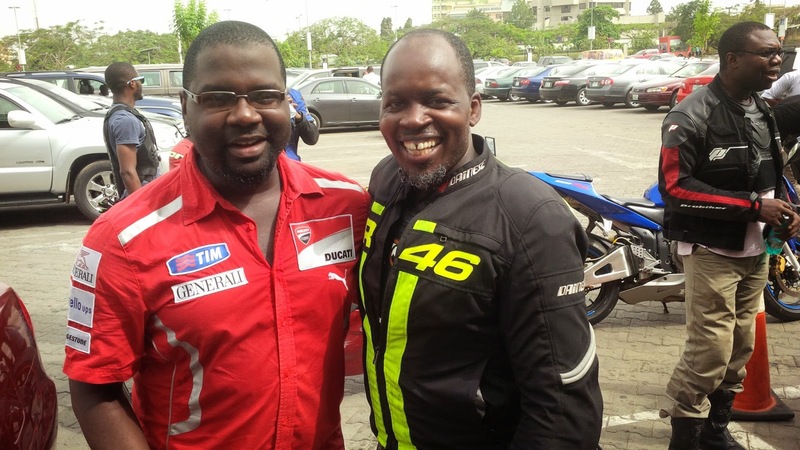 What is The Edo Superbike Road Race, “The Bikers Trophy”? The Edo Superbike Road Race, “The Bikers Trophy” is modeled after the Isle of Man TT races that have been held on the Isle of Man, UK since 1904. The race route for the Edo Superbike Race is 32kilometres long and traverses 8 communities of Urhonigbe, Urohmehe, Umughun, Ogba, Evbonogbon, Ugo, Ekpokor and Ugbokirima in Orhiomwon Local Government Area of Edo State. Planned to be an annual event, the race is planned to hold on the last weekend of November yearly. The race takes place in a time trial format on a newly constructed stretch of asphalt road. 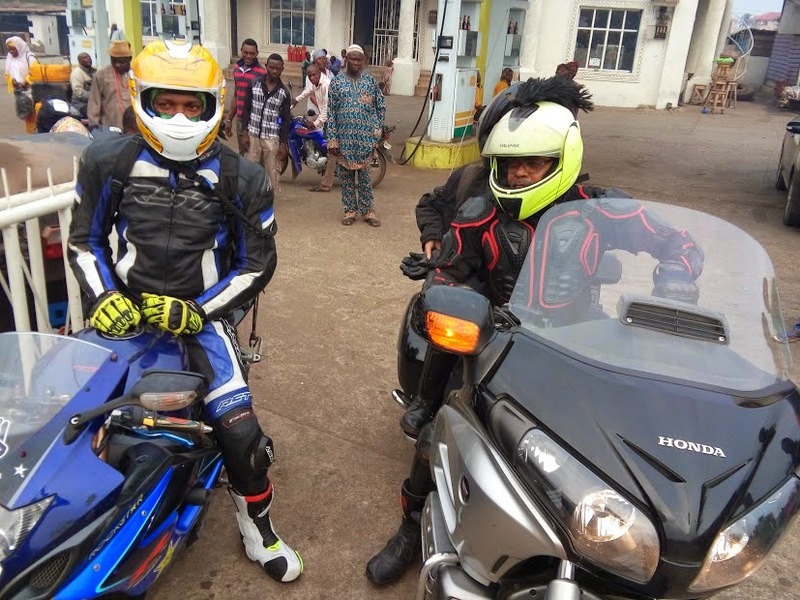 The fastest rider to cover the distance on a 1000cc bike is crowned Champion of the Edo Superbike Road Race and “The BT” Champion. 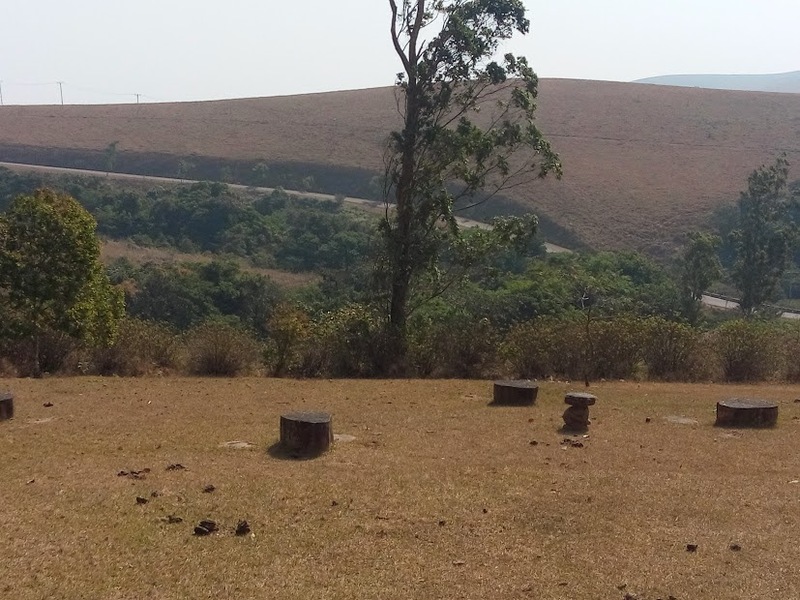 The BT 2015 event is scheduled to hold on the 27th/28th of November, 2015. 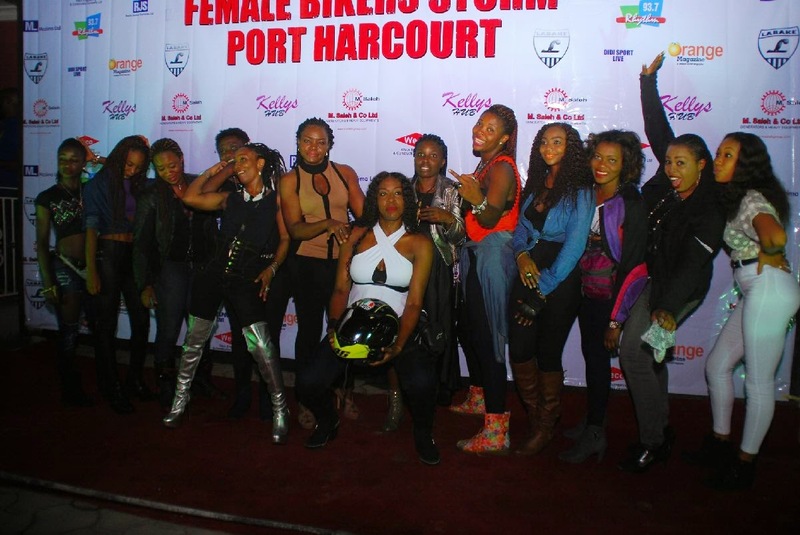 KelzMama Hosted The Girls "Riding with a purpose"
I must say 2nd-6th April 2015 was an unforgettable weekend for the female bikers in Nigeria and Ghana. 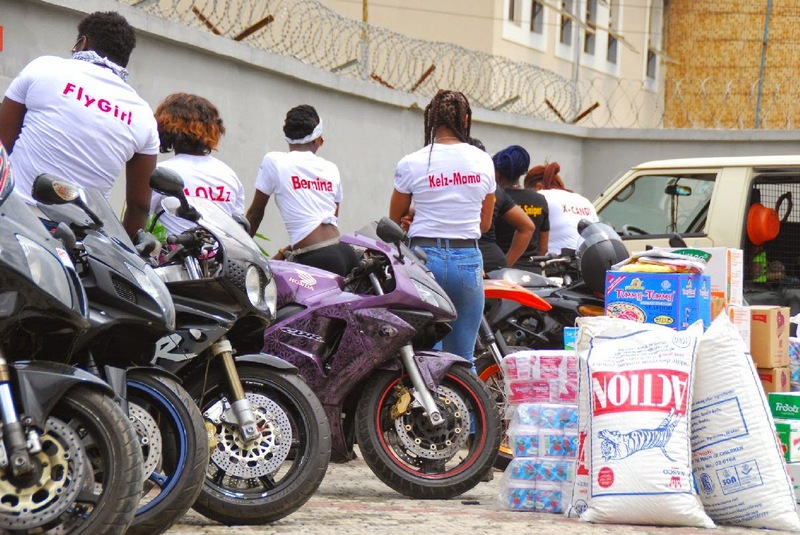 It went from a normal visit to one female biker who lives in Port Harcourt to an elaborate celebration. 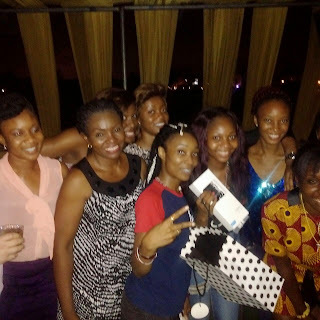 Ladies rode in from Lagos and Calabar, others came by air just to meet each other, make friends and do some charity asides having fun. On Thursday 2nd of April was the arrival date. Ladies that rode from Lagos where escorted from Ahoada (PH) by some PH bikers, those who came by air where picked up at d airport. 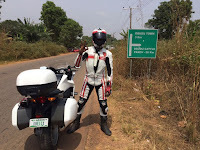 Flygirl rode in from Calabar with St. Barth and got escorted from Eleme junction (PH). We stayed at D Matel hotel on stadium road. 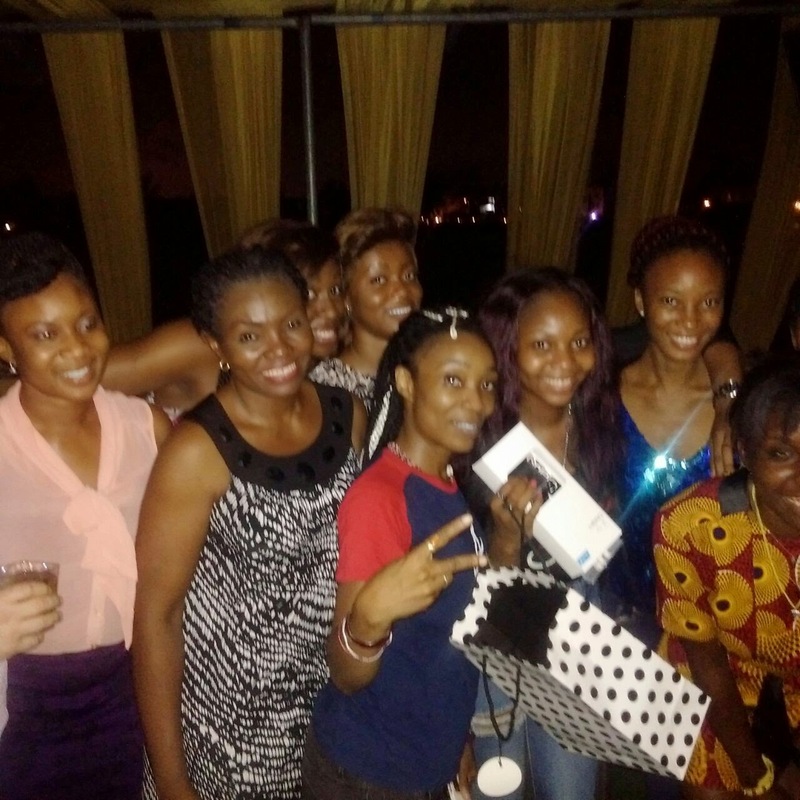 Hung out with members of HRMC at Labake (Hotel & bar on Rumola link road) . We had food and drinks and got to know each other. 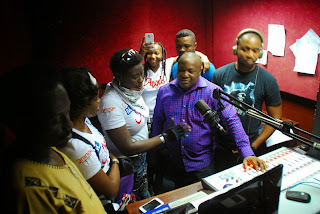 On Fri 3rd of April, we had an on air interview on rhythm 93.7 where we discussed what we were in town for, it was a nice one. 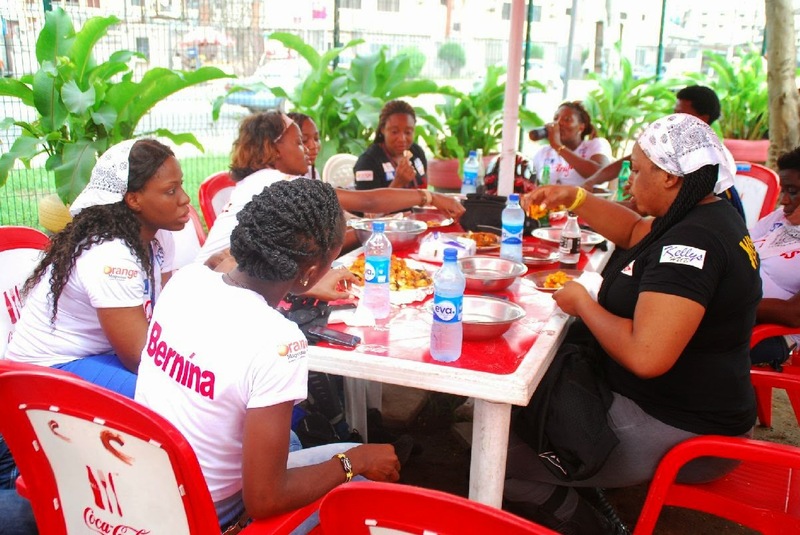 From rhythm 93.7 at old GRA (PH), we had lunch at the Bole & fish spot in Elekahia estate (PH) and cooled off after lunch. Later that evening we went to karaoke bar at De office karaoke bar in GRA (PH), we lightened the whole place and proceeded to Beer Barn (a bar) we had a good time, the ladies danced like they were promised a ducati, they stole the show. 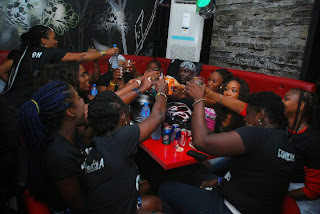 Lastly for the day, we moved over to Platinum night club where they gave us mad shout-out on the screens, after partying we went back to rest the body. On Sat 4th of April was the main day. We visited two (2) homes. 1) Home for the elderly on Harbour road by 10.30am we spent time singing praying and getting some words of wisdom from these wise ones. 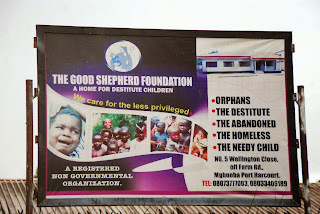 2) Good shepherd foundation, a home for destitute children at 5 Wellington close off farm road, Mgbuoba PH spent time with the innocent children prayed and gave words of encouragement. 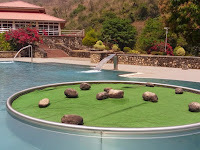 Next was buffet & swimming at Charley's gym on stadium road till about 8pm. By 10pm Hardridaz were already at the hotel to ride with us to the venue for the Red carpet & boogie at COSMO LOUNGE in GRA. 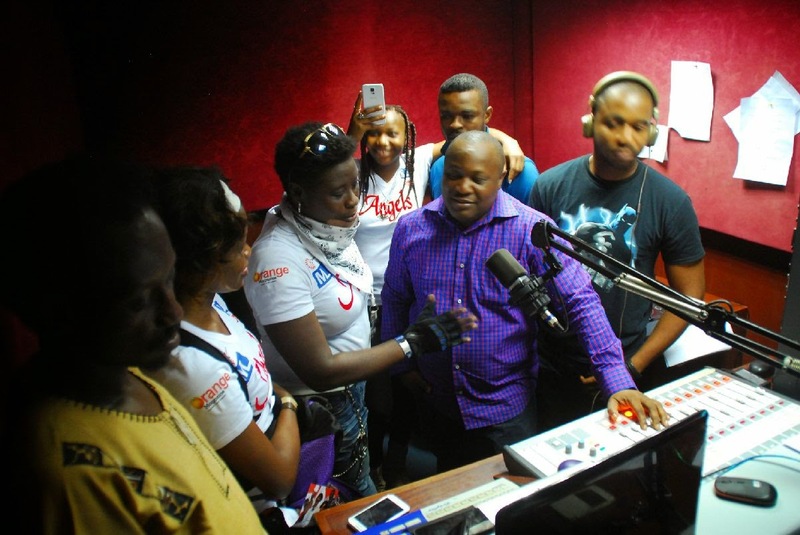 You needed to be there, port harcourt stood still. 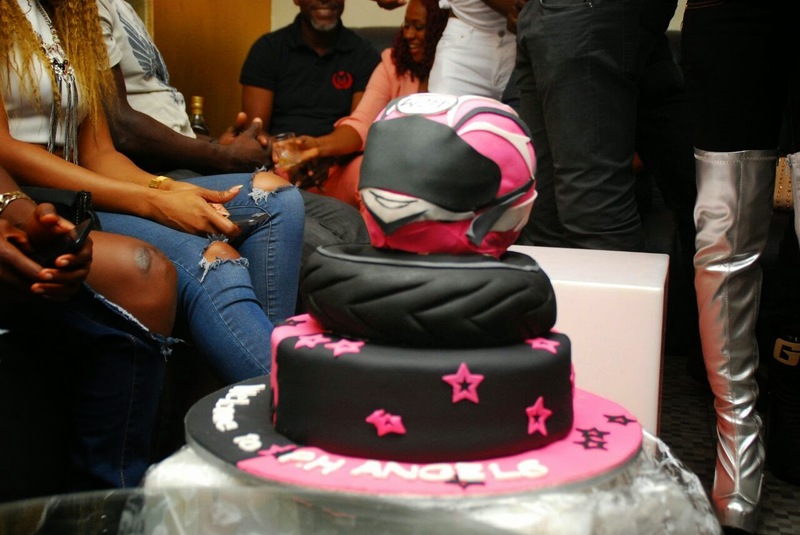 After pictures we moved into the VVIP section of the club , we cut the "welcome 2 PH ANGELS" cake. 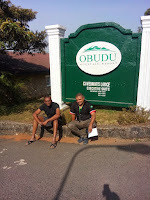 We left by 3am to get some sleep against the ride to Eket the next day. Although the strong ones still went out to Blinks and partied till 5am. 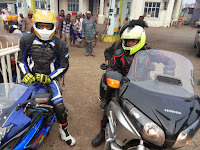 On Sun 5th April at abt 12pm was the ride to Eket for lunch. 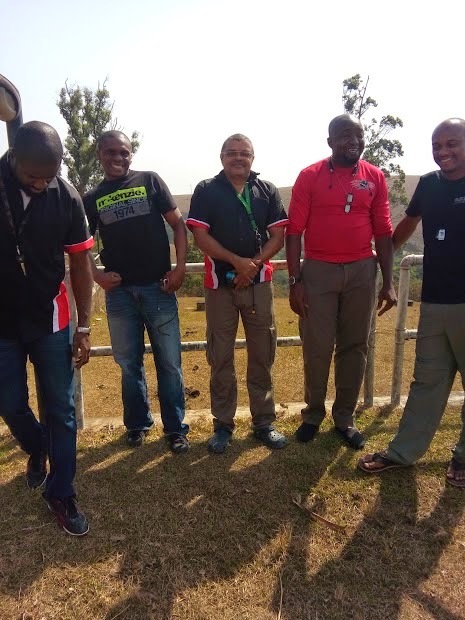 Members of HRMC where part of the ride and they came out in large numbers, 28 bikes, a car with those who didn't ride, 2 camera men that have been covering the program from the day of the ladies arrival. It was a sweet ride although it rained at some point, no bad news at all. We went & came back in one piece. We had dinner at hotel presidential where we spent the 4th & last night of the ladies stay in PH and certificates were given to ladies who took part in the charity ride. On Mon 6th April was departure day for everyone. Ladies left for the airport by 6.30am to catch up there 8.45am flight. I want to thank everyone who supported in one way or two ; M.Saleh Generators & Equipments, RJS, WECO Engineering, Mazima Limited, Rythm 93.7, Kelly's Hub, DidiSports Live. Thanks to members of HRMC, you guys are wonderful. I was quite impressed at the sight of the turn out, May God bless you all. Biking is Love. And I believe you show love not just preach it. 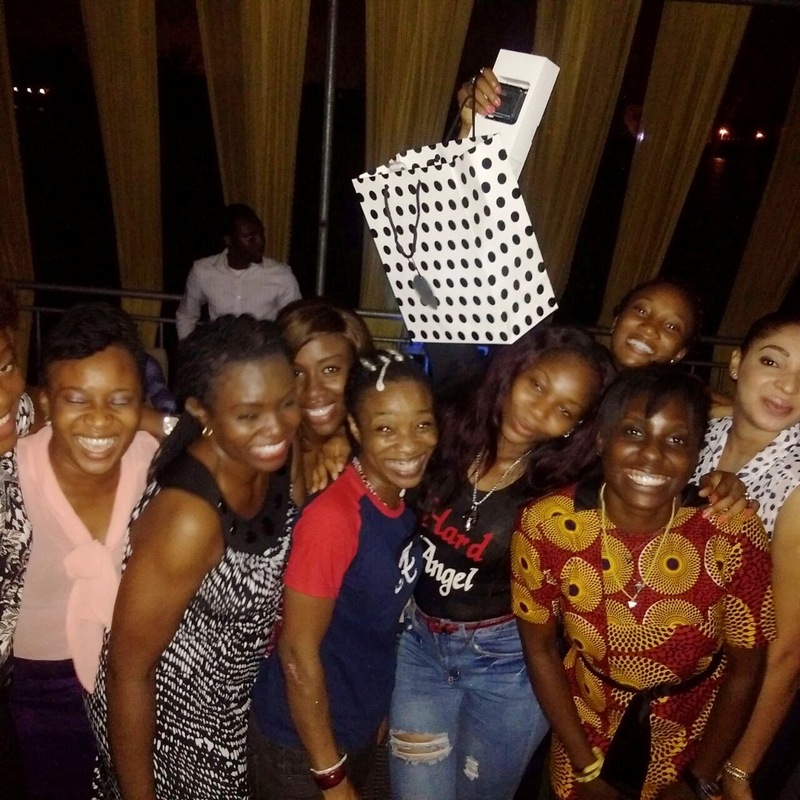 Thank God for journey mercies for these unique beings. 1 Love . BLOW said he will do it again SOON! 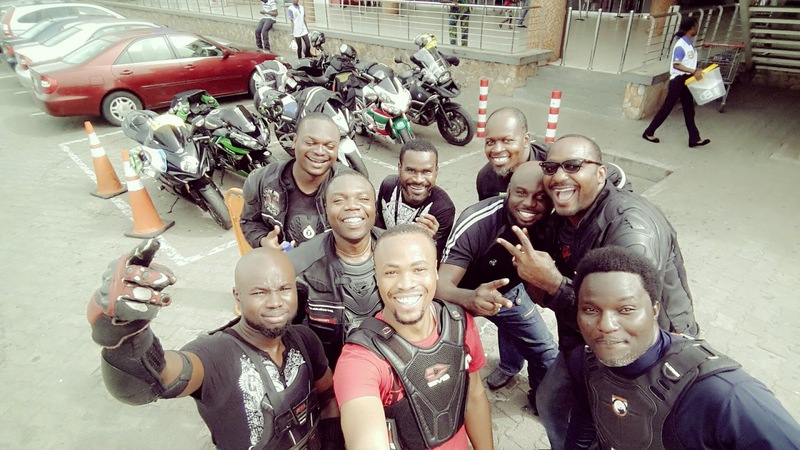 Life becomes boring when what you call fun is limited but as bikers we have fun to the extreme. 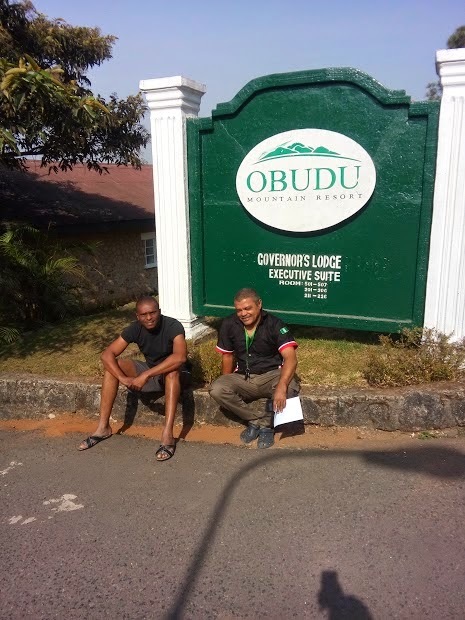 Summary of my trip with mates to Obudu Mountain Resort. 5.30am still dark at the club house....Blow arrives and finds Uncle B ready to go. 5.40am Aara noisily creeps in! Planned departure was 5.45am but we left 5.48am as Aara purchased brand new gloves and forgot he had to do break in. B9 had communicated late departure...so we rode out. 15 minutes of easy riding, still quite dark....the smell of diesel eases through my balaclava. Pitch dark could not identify where the spill was. Tire loosing grip slowly, dropped speed and pulled over to the extreme right....others aligned. Proceeded with caution! Night seemed longer than day, 6.45am...ray of sunlight, hands itching to roll the throttle. 6.48am...finally!!!! 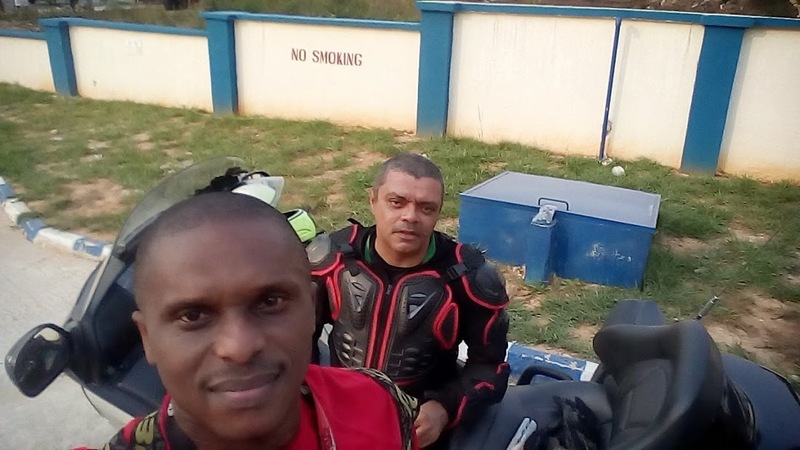 Between 97km and 103km out of Lagos, we experienced 6 checkpoints. As courtesy a hand wave and ride along. A lil worried though....aggressive ragging to recoup from the xmas and new year holiday? As usual the Ijebu - Ore leg was bumpy and potholed ridden. 20km to Ore.....blissssssssss. NNPC Ore refueled and took off immediately. 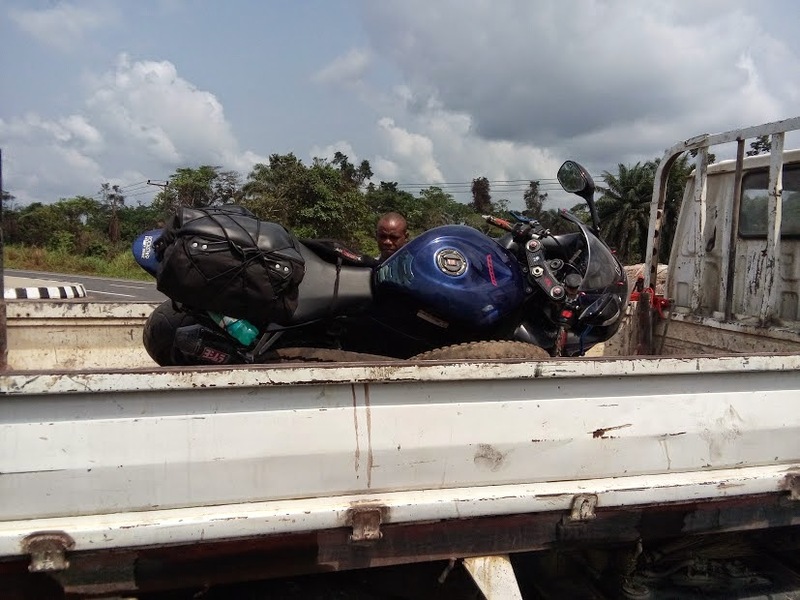 Ride was less eventful as always....Benin - Ughelli. 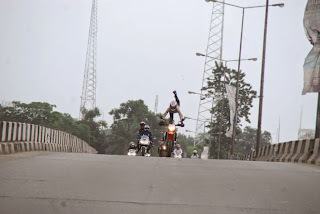 30kms outward Ughelli, missing lights for the 3rd man....Aara! 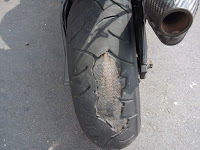 Routed back and he was throttling down with a torn rear tyre. 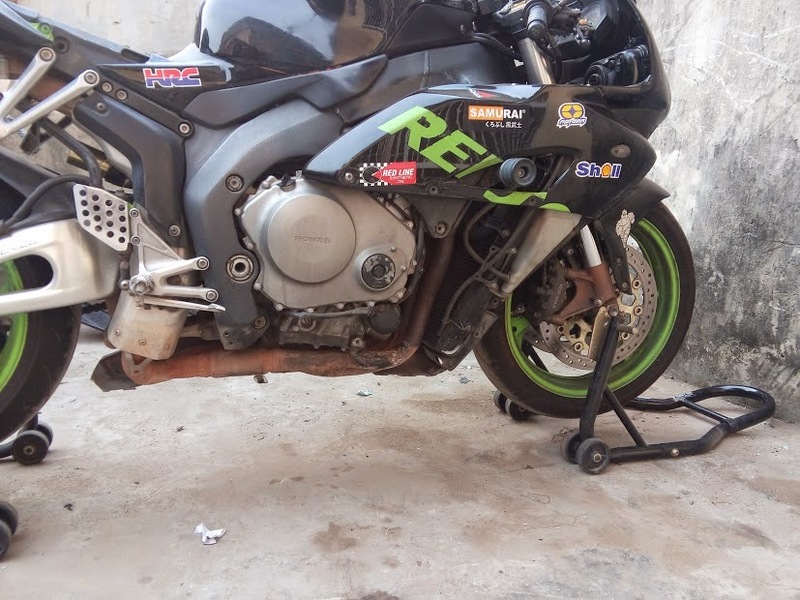 Quick situation analyses and decided to tow bike to PH. 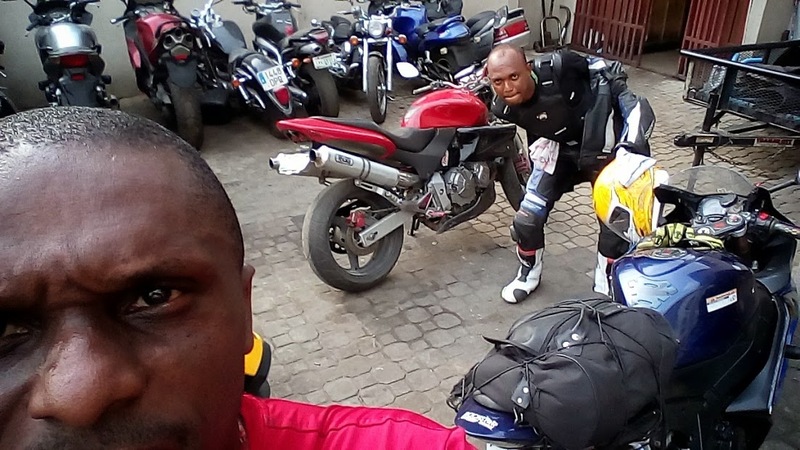 B9 enroute joins him to Calabar while Engr b and Blow go ahead. Truck in bike with owner.....B9 blows past. Oops, earlier than expected. Plans need to be modified to accommodate. 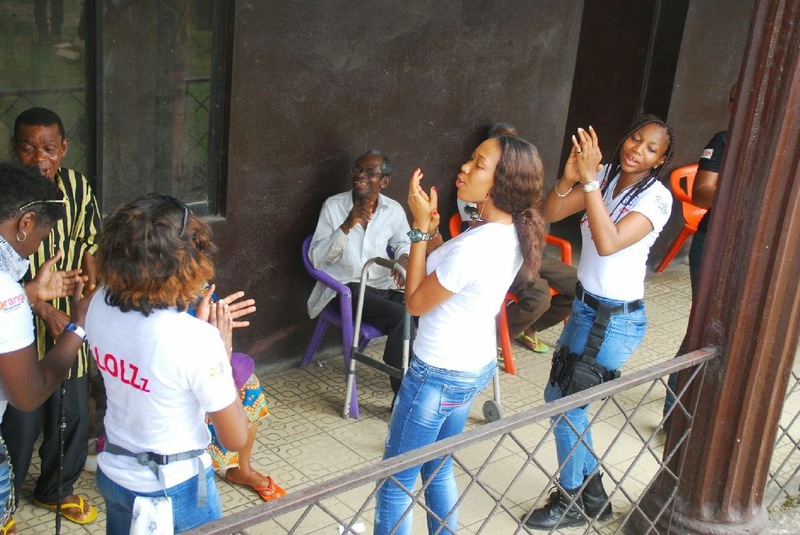 We catch up with B9 and decide to wait for Aara at Eleme junction PH. Ughelli to Patani was excellent. 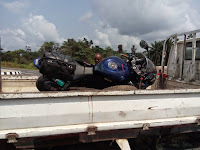 Patani to Bayelsa rough but rideable all through to PH. Traffic passing through PH. Stored up energy was expended. Decided to break the group in 2. B9 waits for Aara to fix his tyre and Engr B and Blow continue the journey. 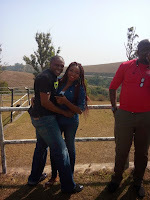 Eleme to Uyo was a luvly ride passing through Ikot Abasi. 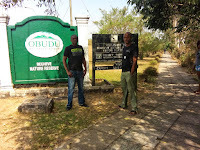 Uyo to Calabar ok till we got to Odukpani junction... the arduous ride begins. Got to the hotel off Marian road few minutes before 7pm....phew!!!!! B9 and Aara minutes behind got in before 8pm. We all know what happens Vegas stays in Vegas....but will be generous to share just a lil!!!! Went out to a karaoke bar (thanks to Victor who hosted) and went clubbing. Yes we have energy after such a looong ride. The rest is left to your imagination as to what happened in and out of the bar! 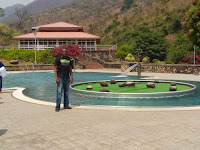 Buzz time was 9am to Obudu. Is that doable? After riding hard, drinking and partying harder....... and and and.....ok lets saddle at 10.30am. 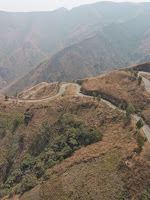 Road to Obudu was pretty bad especially the Calabar to Ikom stretch. 25mins into the journey my bike dash went off. Quickly swapped battery with Aara hoping my charging system was not working optimally and needed a new battery. Will get one down the road. Essence was to save travel time. 15mins short ride....dash goes off again. ok red flag wahala dey! Moved quickly to the closest okada park I noticed before dash went dead. Parked bike, removed handy tools stripped fairings to diagnose issue. 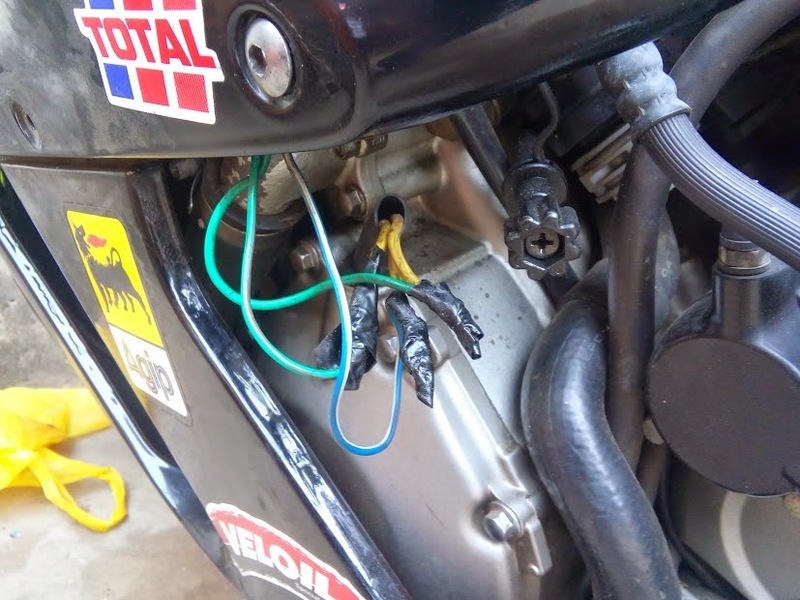 Wires coming from the stator coil all the way to rectifier was burnt. 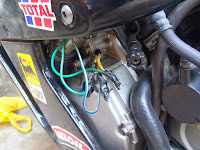 Physical assessment shows rectifier and stator coil ok. Got some okada wires and rewired the bike. Pushed bike to start and we are good to go. Stopped at Ikom to rehydrate and grab a bit....yes remember that soft bread? I did not get to taste as I had rice as na me first reach the joint. Did i forget to mention how unbelievably hot it was? 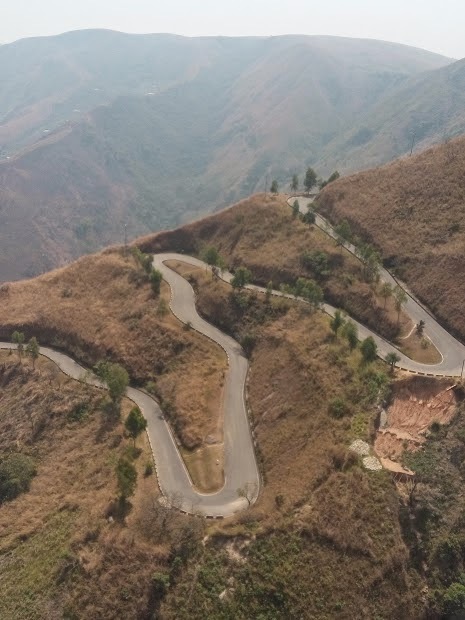 Ikom to Obudu...last lap. 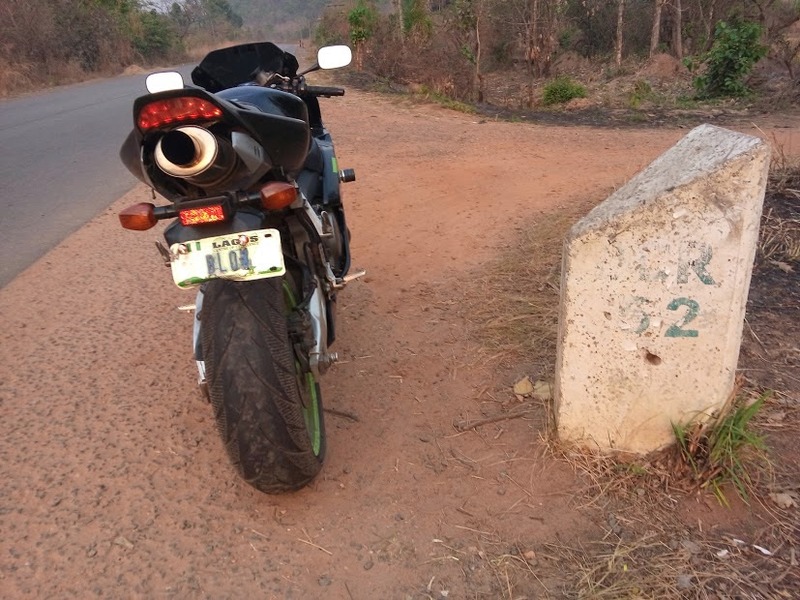 Potholed ridden but waaaay better than Calabar Ikom route that had potholes, sandy road, bumps, undulating...all manner of riders displeasure. 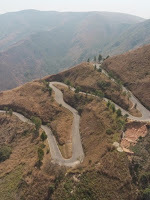 60km to Obudu....50km to Obudu...ewooooooo...see road. Aara took the lead and expressed himself! Finally the milestone. 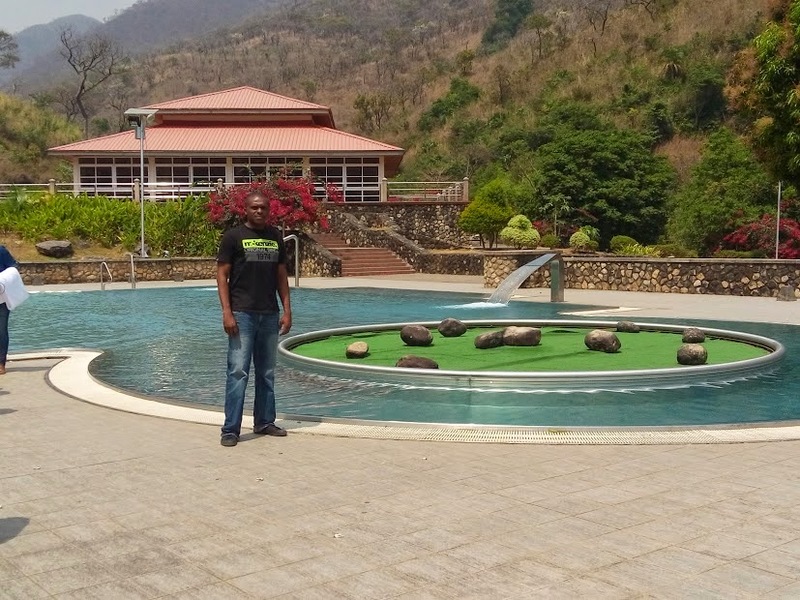 Obudu Mountain Resort. Well done gentlemen!!! Up the hill we ride. Aara please change your gear from 1 to 2....you will not go off the cliff, lol!!!! Lodged in our rooms and what do i see at the corner....ROOM HEATER. hmm. We all planned to meet at the restaurant for dinner in 30mins. The walk to the restaurant was very very chilly. Nice weather up there. After dinner we had a vodka party. Plenty fun till lights out at 11pm ish. Yes they don't have electricity so they run generator. We all retire at midnight. We do breakfast and plan our day. 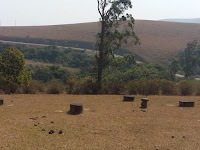 B9 wants to go back down the hill.....we all wanted something else. 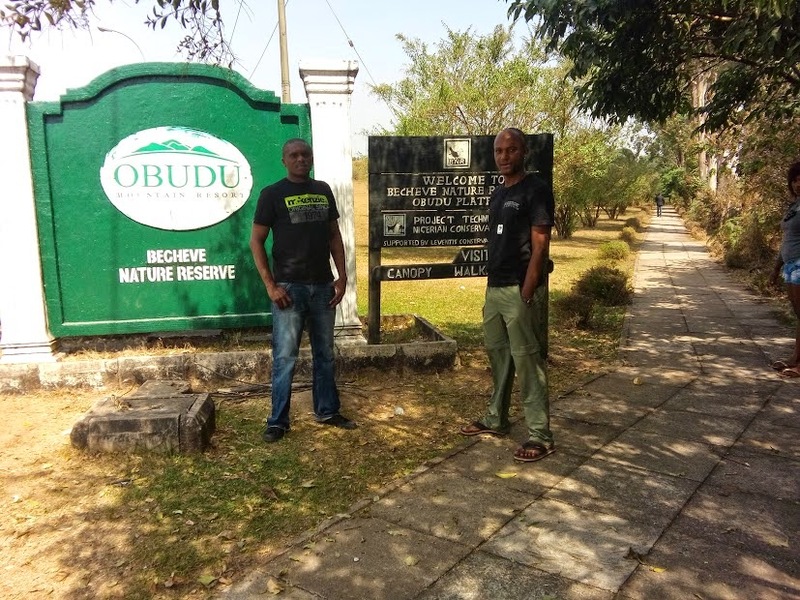 So we do the canopy walk together and the cable car down the hill to the water parks while B9 rides down after the walk to to to.....bros you never told us where you went to o. 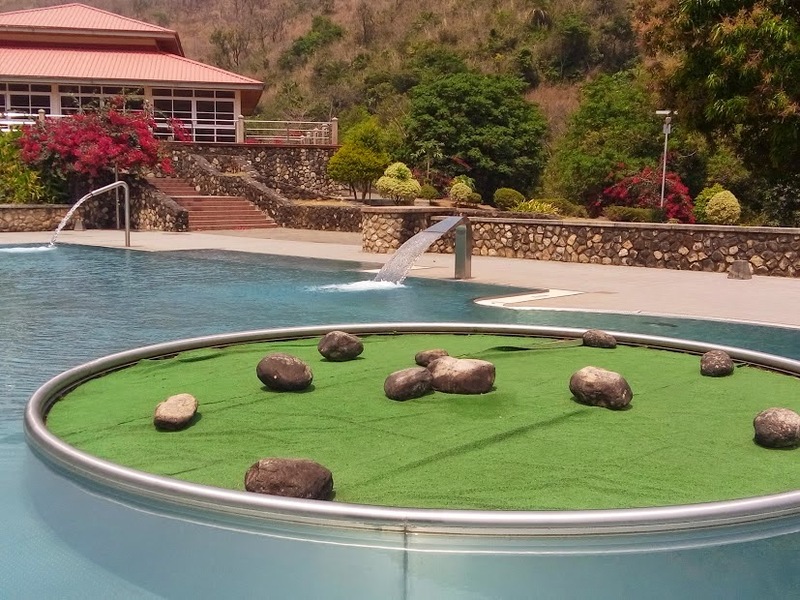 Nice pool...we had the best of fun. Back up the mountain for the facility tour. Tour was very educating. 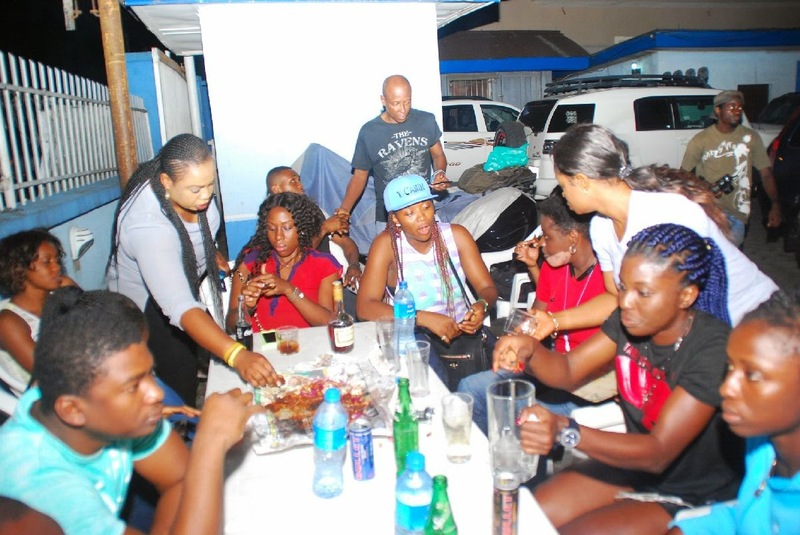 Dinner time.....burn fire night, cold chilly night.....plenty to drink, more fun we had a blast. Departure to PH approximate 660km to cover. 8am departure time. Technical team left as scheduled, this boi B9 dey waste our time again. We left him!!! B9, please oblige us with another excuse? 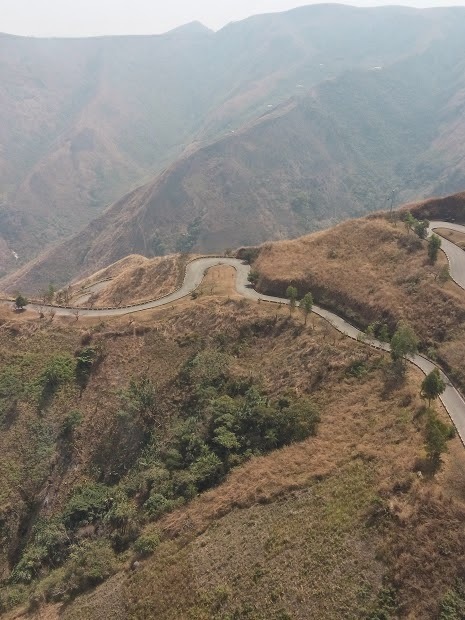 Obudu to Ikom was ok, Ikom to Odukpani junction was a challenging ride. Aara bent his rim and hand a flat. Tire was pumped and he luckily had stabled pressure all through. I on the other hand was going about 120km noticed a patch 20metres away reduced speed got to 100km next thing right in front of me was a dip of about 1feet or thereabout in height. The queer and annoying part was the road was still black and had its coal-tar that's why I did not notice earlier. The length of the deep was about the same length of my bike. In I go as expected the bike threw me off...left leg high, left hand off the handle bar waving to my ghost fans, right leg also off the pegs, just my right hand barely holding the throttle, came down and it threw me off a second time. Landed on my seat with my b..ls slamming...yes....OUCH!!! 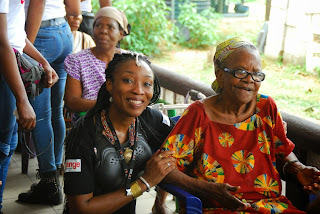 I was humbled thereafter (only for a few clicks #big smiles). 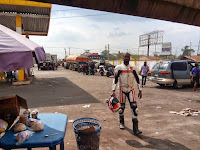 Refueled at Odukpani junction in Calabar and off to PH. Ride was great. All man safe in PH. Solo activities closes the night. Very late departure. 11.30am we ride. Its Easter, a time to search one's heart and ask "Why do We Ride". Do we ride because we have watched too many movies which have motorcycle stunts? Do we ride just to beat traffic? Do we ride because we have the money to waste? Do we ride just to talk about the pride we feel? 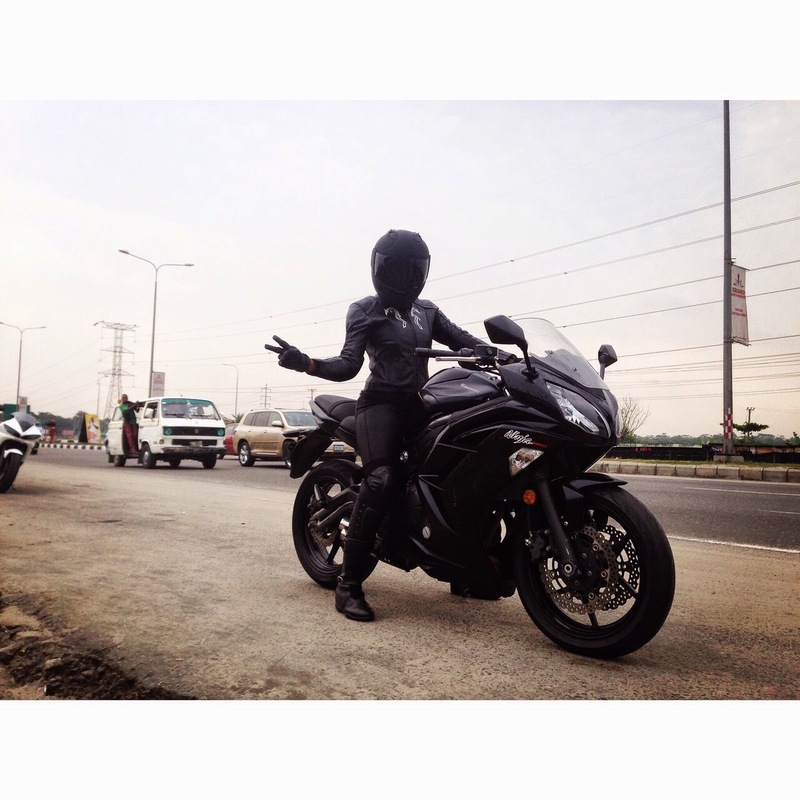 Do we ride because we want to make people feel jealous by putting up an impression? Have I got you thinking? 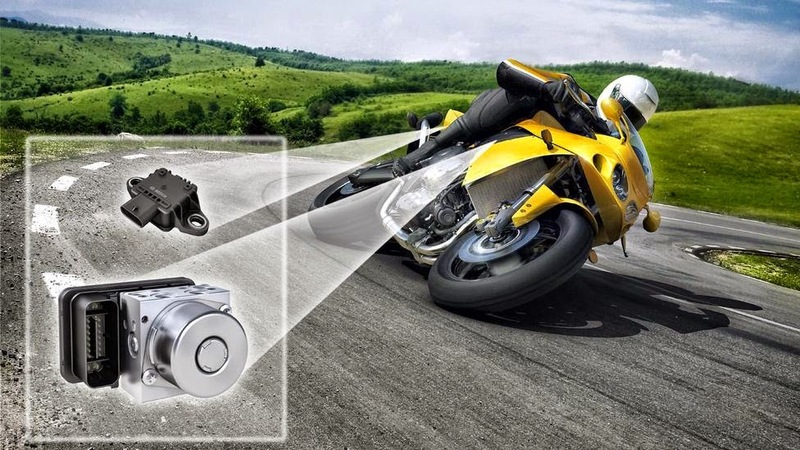 We bikers like to talk more and do less, but as a biker you have a responsibility; you accept it or you park your bike! 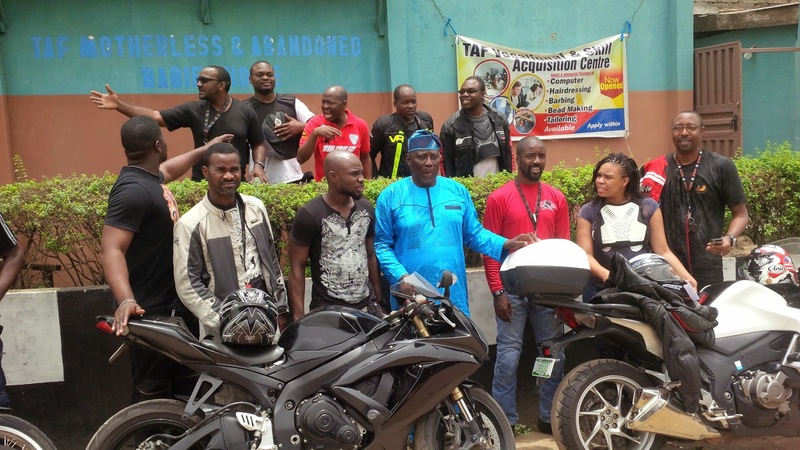 In Nigeria, the Riding group called 514 linked up with Seyi of the Ride Easy Motorcycle group to visit the less privileged and got a good turnout of at least two representatives from the wheeler's motorcycle club, easy rider's motorcycle club and biker's den riding group. 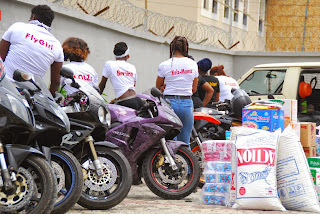 The event: We planned to ride and take a few items with us to present to the kids. 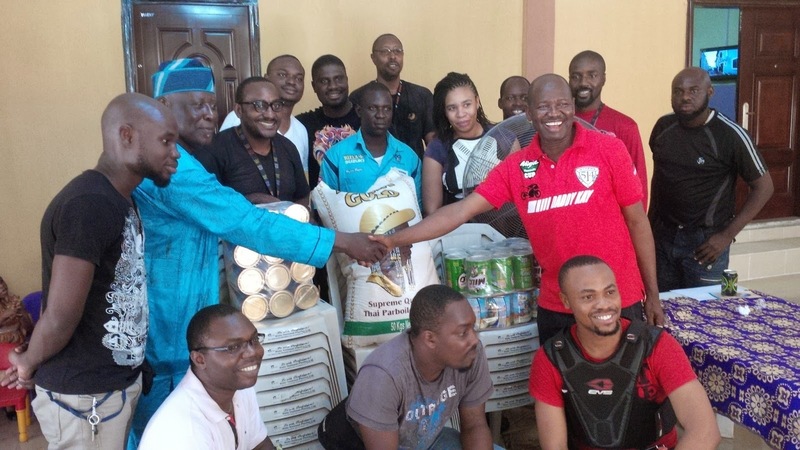 And being the first time at this home we had know specific amount of items to carry with us, but we were touched by the story and the drive behind the proprietor of the Orphanage home which keeps him going. The Children: Little and totally innocent, ignorant of the life they have found them selves but the smiles on their faces bring hope to your mind that all will be well. How do we make them have a normal life is what we can always try to initiate and make sure it is put in place for the good of humanity. Achievements: Riding as a group gives you a sense of belonging and also the opportunity to create a positive impact in the lives of children- by putting smiles on their faces. This makes it all the more fulfilling. 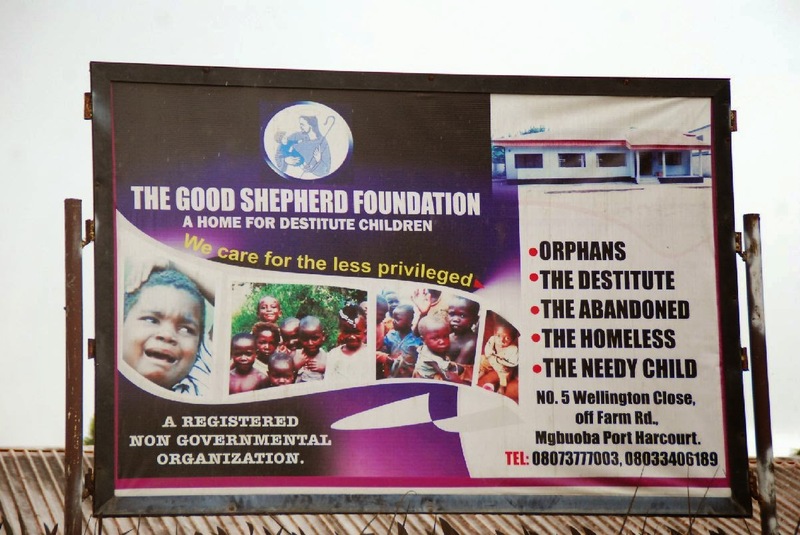 We are not allowed to post pictures of the children but you can visit them to show some love.